How A Professional Restaurant Web Design Can Play A Major Role In Reaching Your Target Customers? For any successful restaurant business, it is necessary to learn how to make a restaurant website that helps you reach your target customers. If you have a restaurant business, you need to pay special attention towards the design element of your restaurant website as it will be an online face of your business and attract the type of customer you cater to. When you make a restaurant website you also need to serve some other purposes such as help people make reservation, know the type of food your restaurant serves and tell people the easiest way to reach your restaurant from any corner of the city. Every restaurant is oriented for a specific category of people. The targeted customer of a restaurant mainly depends on its location. For example, if you restaurant is located at a place surrounded by businesses, the targeted customer will be adult crowd and professionals. If your restaurant is located in a mall, your targeted customer will be families, teenagers and elderly people. Therefore the design of your restaurant website should be able to speak to your customers. A professional restaurant website design will make the best first impression on the visitors mind and encourage him/her to visit the place to taste everything you serve on the table. A professional restaurant website design ensures your customer does not face any delay or difficulty while accessing the information about the food you serve. Downloading a PDF of menu can be annoying. Hence a professional web design ensures your website presents a well-arranged, appealing and a readable menu to your visitors. People visiting your restaurant for the first time are more likely to check the menu on your website before visiting your place. You should not expect visitors to find their way to your restaurant all by themselves. A professional website design will include a map with pointing directions. Besides, it will also give out phone number for booking and hours of operation. Its important that you build a website or get a website designed for you to get your name out there. Besides focusing on important aspects of restaurant business, a professional restaurant website design keeps the overall look clutter-free. Images play an important role in any website and a restaurant website is likely to have many. However, to many images can increase loading times which can encourage the visitor to check your competitor website. A professional restaurant website design ensures intelligent use of images to present a culinary journey that a visitor will be inspired to take by visiting your restaurant. Besides, the primary aim of the website design is to have a clean layout, minimalistic design that creates an overall sophisticated look. Today, your restaurant website also needs to be mobile optimized as it needs to be ready to cater to new generation of mobile users. 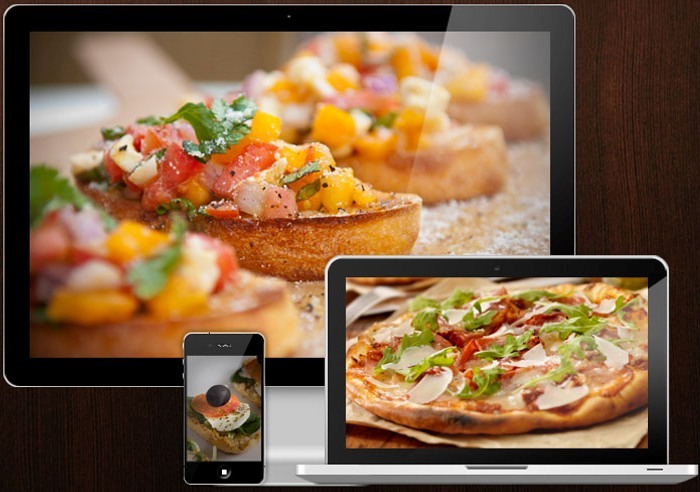 A professional website design can be easily optimized for mobile devices to ensure, your targeted customer has the same user experience when they access desktop or mobile version of your restaurant website. Besides, creative an attractive restaurant website, you need to also consider search engine optimization of your restaurant website. A good restaurant website design will have all SEO techniques incorporated from the beginning.